As one of the staples of the indie-folk genre, The Lumineers have seen the heights of the charts several times. In April of 2016, the band released the hit song “Angela”, with a meticulously crafted arrangement and sonic landscape. 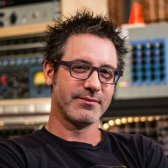 In this puremix.net exclusive, Grammy award-winning engineer and mixer, Ryan Hewitt, goes inside the mix and deconstructs the song piece by piece, going further than simple mixing techniques to explain the effect that a great arrangement can have to build excitement and take the listener on a journey, from a simple guitar and vocal song to a full-blown orchestral climax. This is your chance to sit next to Ryan Hewitt, and take a behind the scenes look at the creation of an indie folk smash hit. After you've seen the video, download the stems and mix it for yourself. Hey! I'm Ryan Hewitt and we're here at my studio, House of Blues in Nashville, Tennessee, and I'm going to open up my session for The Lumineers' song, 'Angela', and show you how I went about the mix and what I was thinking as I did. The basic setup of my studio and of my sessions and templates and whatnot is covered in my template video, so I'm not going to go into great detail on that in this video. I'm going to assume you've seen how I set things up, and I'm going to focus more on my mixing, and my decisions, and the result of the mix. So, this is The Lumineers' song called 'Angela', and we spent about a week working on this song in the studio with the band, so, it went through a number of permutations. Arrangements, tempos, feels, etc., and we wound up with what we have here. The basis of the song is the acoustic guitar and the vocals, and everything else serves that, it serves the vocal melody, it serves the acoustic guitar feel that he's got going on, and secondary to that could be the piano part, that plays a major role in this song. And then, the drums are sort of, again, subservient to that, so if I scroll up in the session I can show you what's going on here. I've arranged it as I normally do in a session, with the drums on top just because I'm a creature of habit. So we have all these drums that are happening, and various subgroups and reverbs and stuff like that strewn about because it's sort of an unorthodox song compared to a normal rock or pop song. We've got the kick drum and these associated things, these tracks. We've got some big toms making some noise, we've got a shaker track, we've got some handclaps, we've got some big kicks that are pitched to B and G, and we've got this 'Shutter' thing which I'll show you later. We've got echoes, we've got slaps, we've got bass tracks, a clean amp and a dirty amp. We have the acoustic, we've got several piano tracks doing different things here. We've got the lead vocal split on to three tracks, as I discussed in my template video. The verse part, the chorus part, and the bridge part. All different vibes and different volumes that he sang at. They all need a separate very specific treatment for each part. We've got background vocals, we've got cello, we've got violins, and then we have all our effects and all that junk at the bottom. When we were working on this song at the Clubhouse in Upstate New York, we were pretty happy with our rough mix so I sort of started with that, and then expanded upon it in the place that I can hear things better, like my studio I know really well. My speakers, my amps, my monitor controller. Everything here is, like, the way I want it. I've set up here for two years now, so I'm pretty used to how things sound. It's easier to get really, like, zoomed in on the parts that I'm trying to handle here. Let's play the song from front to back, get an idea of where we're going, if you haven't heard the song before, and then we can sort of break things down a little bit. When I approach a mix, I really think about the intent of the song. I put up the faders, especially if I haven't heard the song before, I push up all the faders and get a rough balance to sort of feel out what the band were thinking, what the artist was thinking about, and what the primary, like, motivating forces, and the primary emotional sort of journey that the song is going to go on. Wes and Jere's songs are like, you know, cinematic, the way they put these things together. It's all about the vocal, everything is about the vocal, you'll notice it's really loud and it's really wet, so that's sort of the defining characteristic of their recordings and of the way they wanted me to mix this song. I mixed it the way I wanted to, and then it was like, "More vocal, more vocal, more vocal. Make the vocal louder. Louder." and I'm like, "Really? Really?" And then it was like, "Oh! Okay! I get this now!" And after the first couple songs, it's like, I just knew where that vocal needed to sit. In my studio, so I'm looking at you, but behind the camera I have this post that my monitor sits upon, and I imagine the singer's head being on that post, and if the singer's head is not on that post, then, I haven't done my job yet because the singer has got to be way up in front, particularly on his record. the phrase we were using when we were thinking about these mixes. not quite being in a well, but, you know, something that's beautiful and there's, like, this fog on the ground, you know? It's this incredible feeling of space around the vocal, so that was the mission in all of these mixes. And, you know, to me, as a rock guy, primarily, I want to make sure it's still moving, that there's energy to it, that there is this locomotion to anything else that can possibly help propel the song along. We've got that acoustic guitar that's strumming along the entire time, we've got piano chords, and then we get the percussion coming in later, the bass helps move things along, so everybody has got to pull their own weight. There was a lot of very intentional thought about each particular part, when it was going to come in, when it was going to play, what it was going to play, how fancy it was going to be, how sparse it was going to be, and each of those decisions made along the way informed the next decision, so it wasn't like a collection of stuff, like, "Let's pile a bunch of crap on the song and sort it out later", it was like, "Mmm, I don't know if the bass should come in there, I think it should come in a little later", and we would play it from the top and put the bass coming in a little bit later, and it was like, "Okay, that's the way it is! Cut the bass out there. Done". "Okay. Do we still have the song?" "Yes, of course we have a song because we've got the acoustic guitar and the vocals". "Okay, what's the next instrument?" "Well, we need piano because it's a piano band, so, where does the piano come in?" We played with that and came up with a solid arrangement of where all these things were going to come in. "Okay, drums", and so on. there was an interesting process behind this song. My goal was to help that along and make it this, like, you know, again, God-like cinematic kind of song. What I would've started out with this song had I not tracked it myself was the vocal and the acoustic guitar. Let's just go through and break this song down, and we will build the mix as I did when we came into the studio to do this. Let's mute everything except for the acoustic and the vocal. And of course, the song starts like that, so it's not hard to imagine the song with nothing else, so I'll mute all this stuff. We'll just play it from just before the first verse, and you'll hear that we still have a song even though it's only acoustic and vocal. So now let's take a further step back, let's take the effects off of both of these things and I can show you what it sounds like in essentially a raw state. Hopefully, all these things will accommodate us. I don't know if I automated any of this stuff. So, no reverbs, no slaps. that's one way of making a record, like the Avett Brothers records I work on are bone dry. There's not a single drop of reverb, except, I think, on one song that I drenched it in plate, but you can feel how that completely changes the vibe, you know? It's small, it's close, and that's not what we wanted, so, you know, we never really heard the vocals like that, ever, through the process of making this record. The plate was on from the get-go. I got a sound at the studio that he liked, and we wound up sticking with that through tracking, and then, we had a real plate at the studio, in fact. We printed it when we finished the vocals, when we comped and tweaked all the vocals I would print the plate so I could bring it home with me to Nashville. And when we got here, I A/B'ed the real plate against the UAD plate, and I think in 90% of the songs the UAD plate won, so, what you see here in the session is what we used, so this song was a UAD plate song. And on the vocal I did a mono plate. I have two plates working on this song: I have a mono plate just straight down the middle, and then I have a stereo plate here somewhere, so here's another one. The mono plate is set up like this. I've used the A Plate on the UAD EMT 140. Generally, the B Plate is my favorite, but for some reason, I had this idea of part of the song being a mono reverb and then another part being a stereo reverb, and then there's a combination of the two so we get this different sort of effect. But it just gave me this thing that I hadn't heard before. I sort of rolled with that and had some fun. My favorite delay is the EchoBoy from Soundtoys, and I set up a Memory Man-type thing here. I don't remember what 333 meant, but regardless, it sounded good to me so I sort of went with that. I think it's maybe a little bit out of time. I think that's why I went with that. And we got a little bit of slap on this, which is down here, another EchoBoy instance. 116 milliseconds, no Feedback, just to give it some more depth, things like that. Let's listen to this. We'll leave the effects off on the acoustic, we'll turn these off for now, and we can just listen to these one at a time. I can show you exactly what's happening here. Pretty subtle, small sound, out of time, just, you know, I think I was thinking of just, like, giving it something weird, like, to take it to that ethereal thing again, to give it something that's not in time that'll sit in the back and give it some kind of weird lilt. I think that's where that came from. So it's a bit strange, but it works. And then if we add the slap to that, let's see what happens. Another subtle sort of space thing. I think if you listen with headphones you'll hear that. It's tough to hear it in speakers when you're quiet, but, you know, that's good. It's these little candy things that contribute to that overall sort of vibe, and, as a beginning mixer, I never understood why people would use more than one delay. I have figured out that it's the combination of all those times and textures, feedback settings and such, that can really bring that vocal alive, that can make it, first of all, very unique, because only you are going to have that specific combination of those sounds, on that day, particularly on that vocal, because no one else is mixing that song. You can use your imagination to really put that vocal in a very unique space. you know, it's an organic tune, it's an organic sort of space, they're not drawing your ear away from the vocal. It drives me crazy when people make these zany effects that bounce all over the place that distract you from listening to what the guy is saying. To me, that's a failure, so I want things that are subtle, maybe have some earphone candy for nerds like us to go and, like, really geek out. Put the headphones on and be like, "What's going on in there?" And, you know, for a moment, not listen to the music, but listen to the tech. But generally, we want the fans to listen to the music, not to the tech, not to the things that we are doing to the music, if that makes any sense. Pressing on, I've got a little bit of double tracking here. So, among the effects I'm using on the vocal, I have a doubler and a slap. The difference between that is the doubler is taking the pitch and moving it up and down, and in this case, it's pushing it out to the sides also. It thickens things up by pushing the pitch up. I think I did maybe 10 cents up and 10 cents down. That's typically what we like to do. So I used this Waves plug-in on this record, it's one of the doublers I really like, and this one, I believe, will give you four voices, four different pitches, but I've only used two of them, 1 and 3 here, and they're panned out at 45 degrees and I've gone up and down six cents. Six cents up, six cents down, and it's modulating a little bit so it's giving this sort of chorus effect, and then just start thickening that vocal out because there is only one guy out there through the whole song, so I've basically given him a little bit of support with that. The slap, however, is basically an echo. It's a short echo made famous by Elvis Presley, that tape slap that's in the neighborhood of 100 milliseconds, and that helps give some depth and some more character to the vocal. That's a trick I use on lots and lots of mixes that I do. A really simple effect that can be super-effective in the mix. Sometimes that's all I use. And in this case, there's no Feedback, it's 116 milliseconds. A little bit of high end rolled off, a bit of low end rolled off, and it's got the Studio Tape model, so it's sort of like that old-school tape slap. It's a comforting sound to me. With EchoBoy, you can push things out to the sides or you can vary the width of the slap, and in this case I've made it completely mono, it's right up the middle. Playing with where these effects are can help, again, give a feeling of depth, or a feeling of width, or both. It can, again, make like a signature sound for your song, so, lots of stuff to play with. So let's play the vocal. We got the guitar dry, vocal dry, and we'll just have the slap on it. In this case I'm using it very subtly, but you can hear what it's doing when I crank that up. Let's play it with just the double. It's sort of a headphone thing, it made me feel good to put a little bit of that on. This lead vocal verb (LVVerb), what is that? I don't remember what I put on that. So this is on the C Plate, so I've used all the different plate samples on the UAD reverb, so this one is shorter than that mono one. If you remember, that mono plate was around 3 seconds up the middle and this one is just over 2 seconds out to the sides. It will give you that illusion of more depth, of the reverb going from out here into the middle, the way it decays will be different. And again, it's just this so technical nerdy stuff that no one's ever going to notice. It was just something I thought of at the time, I tried it out, it seemed to work. I also like to put this Stereo Width thing on the reverb return so it sort of opens those up outside the speakers. I think this may have been the first record I did this on, and I've now gone even wider, a little more aggressive with that Width control. Rolled off a little bit of bottom end on the back, and on the plug-in itself I filtered out 180 Hz. A crucial part of the sound of this song is that reverb. So I'll play it again with all these effects back on it and just cut to the chase. So let's play this completely dry, no reverb whatsoever. I got to bypass this one because it's automated, and then I had some reverb on the Crush send, so let's get rid of that as well. So here's the vocal and the guitar bone dry. And now let's turn all that stuff back on. You can feel how much that comes up from super-close to now where we've got this ethereal kind of sound. Well, that's it for the effects on the vocal, but let me show you what I've been doing with plug-ins on Wes's vocal here. I recorded this stuff, so I did it the way I wanted, which is, we had a Soyuz microphone through my Tree Audio Branch back there, and that's a tube mic pre, two-band EQ, and compressor, so I squeezed him to tape. And I say tape generically, meaning to whatever medium I'm recording to. So I compress on the way in generally, I get the sound as I want it, you know, as far as I can get it on the way into Pro Tools, so in this case, he was going through that compressor, and there were some times where he was hitting it pretty hard. I'm not afraid of squashing something, particularly vocals, because you need to be able to hear every single word, and the combination of compression and manually riding the fader is how you get there. I didn't need to compress him that much by the time we got to the mix because I had already done it on the way in. We just have this little LA-3A. I doubt it's doing very much. Let's bypass all these plug-ins. And we'll keep this dry again. Here's with no plug-ins on the vocal. I'm going to put the LA-3A on. You can feel it already just evening it out a little bit, those peaks where he's pushing and emoting like that, it's just sort of bringing them down just a little bit such that those last bits where it's really quiet come up by default, so it's a delicate balance of, like, how much can you really push on him before you completely level and ruin that emotional performance. Not only is it something to look at on the meter if you really want to go there, but you have to listen and hear and feel how that compressor is affecting the message of what he's saying, particularly on vocals. It's really, really something to pay attention to. On a rock song, I'm not afraid of smashing the crap out of the guy, but on a really sensitive song it can affect the dynamics and the mood of the song immensely. So the other bit of compression I'm doing on them is this parallel crush bus here, the lead vocal crush (LVCrush). I generally send that as a unity post-fader send, so the more I ride him louder, it'll push into that parallel compressor bus even more. I'll show you what's happening there. I've got an 1176 on him, it's my usual sort of parallel thing. It's a gentle song, so I'm gentle with that parallel. Slow attack, fast release, 4:1, typical setting on an 1176. Let's see what that's adding to the game here. You can hear what that crush is doing, it's like it's making him about a foot taller. That's the sort of feeling I get, so check it out again with the crush. I don't know what you would call it in percentage, but the feeling is of, like, a little bit more urgency to it. That's what I feel like this crush is doing in this particular song. To feel that sort of vibe from the parallel, I would go as slow as I can on the attack and as quick as I can on the release, so that way you're not hearing compression, you're just hearing, like, thickness. It's a thickener, it's what it's doing, it's like it's just beefing that sound up without losing that emotional content. We have that unaffected sound, like, the only barely compressed lead vocal track, and we're adding this much more compressed sound to it, but that compression is not subtle. If we listen to this by itself, it is not subtle, but, we're adding a small portion of it back to that uncompressed sound, and what that parallel bus sounds like by itself, it doesn't matter, you know? It's the feeling of what it's doing to the overall picture of things, and of course, no one is ever going to hear it like this, so it's even less important, but the philosophy of it is to, you know, be able to have that really hammered kind of thick sound added to that gentle nice guy on the main track. You don't want to overdo it, because again, you can overcome that gentleness with this sort of smashed sound, and you got to be careful about that ratio. Now, if I was doing like an aggressive rock song, this parallel bus would be a lot more, like, nasty and mangled and compressed and distorted and saturated and all these things we love to get into, but on a pretty track like this we have to make sure we don't go too far into that realm. The next thing in the chain is the SSL UAD plug-in. This has sort of become my go-to vocal-clarifying EQ. I've always loved the sound of SSL 4000 EQs and we have this great model of it in here. the clarity range to me is between 2 and 3 kHz, but that's also the range of harshness, so it's a delicate balance of figuring out exactly what frequency is going to help poke that vocal through the mix, but also not become harsh. Here I've got probably, this looks like maybe 2.2 kHz or something, it's like, who knows what the number is, and again, that's not important. I listen to it and feel how it's going to work. I got a little bit of top end going here, cut out a little bit of boxy low mids, and I've added a little bit at 150 Hz to give him a little more chest sound. that, like, that edge he's got to his voice, because that's Wes, you know? Take that away and you have anybody else but him. So it's a delicate balance around making it clear, concise, and deep. Let me play it without this EQ, and then I'll play it with. So a little bright, a little more present, a little chestier, just clearer to me. That's what we're going for here. The next in the row is another little clarifying EQ. There was just a little bit of a boxy issue around 200 and around 650. I rolled off the extreme low end to make sure there's no sort of room noise bleeding through. And I use this EQ in particular because it's a little bit more of a visual graphic and I can be a lot more precise about where I'm going. I can be precise with the Q width and know that I'm at this frequency with this kind of bandwidth, and it's also got this really nice graphic illustration of what's happening. The frequency analyzer can help you hone in on the frequencies that are being a problem. I use the low-cut filter here because it doesn't sound like anything and because you can vary the slope on it and put it wherever you want it. And again, you can sort of visually see that you've fixed the problem that you heard with your ears listening to the song. Next in line is a multiband compressor. This Waves one is really good, and again, trying to get more clarity. The vocal thing is usually clarity. Hopefully I've recorded it correctly and it's not an issue of, like, trying to make the guy sound good. In this case it's just a matter of clarifying things, so, I want to get chestiness with him, but I don't want it to get out of control on certain words, and there was some reason I went to this multiband set up here. You know, just to attenuate upper bass, if you will, to keep it from, like, mugging the song. It just felt like it was a little overwhelming at times. And then, to tame some of that strident stuff in the upper harmonics of his voice, that thing I was talking about earlier, that edge, I put a little bit of action on this top band over here. Let's see if it's affecting things on this particular line we've been studying. You can see and you can feel and hear how that's sort of helping just clarify those little regions. So here's without the multiband. It's controlling that chestiness, it's controlling that edge, but it's not taking it completely away, and because it's a dynamic, it's essentially a dynamic equalizer, you are letting his emotion come through and just touching it down whenever you need to, so this is a really useful tool on vocals. And finally we have the de-esser, another UAD plug-in that works really well just to tame the 'esses'. You can see it's set up to just affect the loud 'esses', so, like, 'wilderness inside' is not an issue in terms of sibilance, but the other ones, you know, just sort of bop them a little bit. Thankfully, he's got really good control of his 'esses'. There are singers I have worked with who can't control them, they have almost like a teapot whistle coming out of their mouth. You can see all the tools we have available, even just on a vocal, here, In The Box. We were talking earlier about mixing on a console and how much I love mixing on a console, and it's interesting, like, mixing in the bad old days of having in front of you what you have, I mean, you have a rack of gear, you have some things, and you have EQs and compressors in the console. that have a consistent phase response, we have as many compressors as we can possibly want of every design and every possible permutation. Is that good or is that bad? I don't know the answer to that. I just know that I can control things the way I want in a very, very precise way now that we couldn't do before. Does that make better records? It could be argued either way, I think. The thing that I try to avoid is spending too much time thinking about, you know, "What EQ should I use today on this particular thing?" Having experience on consoles, and hardware, and such like that, I sort of have a memory bank of which EQs do things the way I want on the application I'm about to put them on. So, I mean, even though I've got like 200 different EQs in this box, I can automatically eliminate 95% of those just by knowing, all right, an SSL EQ does this well, an API does this well, a Helios does this, a Neve does this, and we have models of these things that work, you know, for all intents and purposes, exactly like the real thing. I can know already what's going to work and what's not. I'll try a wild hair idea and put something I don't think is going to work on this application, and then sometimes maybe they'll work and I'll have another thing to put in my memory bank of useful tools, and other times it's just an abject failure, and I'll remember also to never use that again on that particular thing. So, way more things to think about when working In The Box versus, you know, in the hardware realm, but equally powerful, and certainly lots of fun for us nerds. Mixing on a console, mixing on an SSL or a Neve, there's always some kind of shortcoming, there's always some kind of, like, "Man, I wish I had..." And in the days of big budget records, you just, "Oh, I wish I had a GML. Hey, Design FX, can you send a GML over?" or, "Man, I really wish I had this", or, "The EQ is not cutting it on this", you patched something else in. You have to turn around and say, "All right, what do I have left? ", and you use whatever you have left. I remember mixing a record on an SSL 9000 J, in maybe 2004, and I hadn't mixed on one in so long, I was so excited, like, "Oh, cool! Mixing on an SSL again!" and I went to EQ the drums and, like, "Man, these EQs sound terrible! These are awful!" And I turned to the assistant and said, "These are not as good as I remember them being", and I was like, "Oh! I got my rack of Tonelux over there! Put those on all the drums!" And then, all of a sudden I'm over here EQ'ing and, "Oh, that sounds really good!" And then the SSL EQ helped a little bit in some other areas if I needed something else, some other additions or subtractions or whatever, I could go there, but, you know, you have to budget what you have in the rack in the old days, like, "I only have one Pultec", or, "I have one 1176. What's important enough that it's going to get the 1176?" Now, I mean, I can't even tell you, there are sessions where I've had thirty 1176s! Is that a good idea? I don't know. It works, and I think at the end of the day that's what's the important thought with regard to all this technology and things we can play with. Now that we've sort of examined the vocal, the main, main part of the song, the main thrust of the song, its accomplice is the acoustic guitar. It's a very delicate part, so there's a lot of things we had to do to it in the end to make it stand up to this big vocal. The first of them is to have its own little parallel compressor. If we start at the beginning of the song, let's hear it without the acoustic guitar crush track (ACO Crush). Super-dynamic, it gets really tiny and then it goes really loud and then gets really tiny. How can we control that without ruining that dynamic? Parallel compression, that's always our friend. In this particular case I've done a couple things. I've got this parallel bus, just sending at unity gain, post-fader, going into an EQ first because I don't want any of this low end stuff compressed, and I don't want any of this squeaky high end stuff, like any kind of finger noise, I don't want that to be part of this compressed sound, so I've cut those out. I want this sort of midrange focus that's going to allow the bass to hold down the low end later, the piano, and then to have these other elements that come in later, the violin, the cello, to have their top end space. And then we've gone and used a Fatso as the parallel compressor. If we listen with the parallel compressor, this is what we have. Again, you can be pretty relentless with that parallel compression. It's hitting pretty darn hard, but it's not ruining the dynamic of the original track. It just sort of thickens it up and makes it, you know, bigger, but without losing that really pretty emotional performance that he's played here. Here's again with no parallel. It's not compressed, but it is, and it's loud, and we like loud. This is the sort of modern ethos. Again, just briefly, let's just run through these other plug-ins I'm using on the dry track. I'm using the EQ III as, just like a clarifying EQ, I cut out some of that low end nastiness. And I think the EQ III that comes with Pro Tools is fantastic and sounds great. It doesn't sound like anything really. It's a perfect utility EQ for just about anything, and I've sort of substituted that now with that FabFilter Pro-Q2 because it sounds even better. There's nothing wrong with using this EQ all over the place. I got a little bit of API going on here, adding some top end and some presence in the 3 kHz range. I've also added a little bit of low-cut filter here and we have the Pultec adding more top end still, so obviously, my mic choice for this recording was not the best. I think I used an RCA 77, which is a beautiful-sounding mic, but not a ton of top end, so, I've had to sort of fix my mistake in this regard. And then finally another little surgical EQ helping to take out these little problem frequencies, boosting a little bit of midrange to give it more of that finger sound. Let's play it without anything. Arguably, that was a pretty good sound. It's a pretty sound, but for a pop song it wasn't the greatest when it came time to mix. We can put this guy in, and we can put this guy in. Prettier, right? And then we can add this guy. And who doesn't like a Pultec, you know? And then we can add my final clarifying EQ. That last one had the most effect of any of them, I think. It made it even gentler and more emotional-sounding to me, and I'm really glad I got to do that. Actually, do we have anything? Oh, so we just have the 480, which is a sample of a real 480, and what did we use on that? So we have Altiverb doing a 480 thing, just a Large Hall to go on that acoustic guitar. Now we have that vibe going. We got the reverb going on the acoustic guitar and the lead vocal, and we've sort of set the tone for the song. It starts out with just that acoustic, the vocal joins him, and that sets the mood for the whole song. What is the next thing that comes into the song? I believe we got a kick drum and some piano. The piano plays a big role in this band. Jere is a really wonderful writer, and he's a great player. He is a drummer primarily, but he plays a mean piano, he wound up playing everything on the record, and yeah, he's got a really great feel. again, because of this emotional ride we want to go on it starts really simple, really sparse, and then the pace picks up later on. So here's the first piano part. I'm going to play it from midway through the first pre-chorus. You'll notice that it's panned in a little bit, so the piano comes in and it doesn't get super-wide and gets this super-real big piano sound, it's like, "I'm a little piano and I'm just going to come in here and bring things up a notch", and that's cool. He just wants to stay back there, so, not important, but you can feel the weight it adds, and it starts this journey, it starts bringing things up a little bit. Piano, really simple, again, a little bit of that sort of medium Hall or whatever we had on there. A little bit of compression. Let's solo that guy up and hear what he sounds like. Let's take all this stuff off. The Trim, I think, is just balancing the left to right balance, so that's not really important. Not a whole lot to it, but I just wanted a little more beef out of it. First thing was I went with a compressor. Pretty straightforward, you know, beefing it up again, making those notes longer, more sustain-y behind that little guitar thing that's happening and the vocal melody. And again, SSL EQ because it's one of my favorites. So it's just adding a little brightness, a little beef in the low end to help bring that home, and then, what do we got here? Then just a little clarifying EQ again from the FabFilter. We can hear all that together. And then we can add the reverb. And now we can hear everybody together, all four... all the three elements: vocal, acoustic guitar, and piano. It's all feeling really good. I think the kick drum comes in here, we have a little sort of light kick drum. This was actually added during the mix, this bass drum part, because we were playing the mix, probably in the third or fourth revision of the mix, or something like that, and I don't remember whose idea it was, but it was like, "I want to hear a little something in the low end, a little thump-y thump", so I found a bass drum and we flew it in here. Let's again hear it from the middle of the pre-chorus. how far through the song? Roughly a third of the way through the song, and there's exactly four elements, right? So now we're about to hit the first chorus, it will be a major scene change here, so, a lot of things happening. First of all, the vocal is going on to a separate track because he starts belting out this 'home at last' sort of theme line refrain. I'm using the same plug-ins as on the verse vocal, but I'm affecting things just slightly differently because it's a different register in his voice, these are different dynamics, a different emotion, things will change a little bit. The piano I've split off to another track because it's playing a very different part from those whole notes that are in the verse, so I wanted to treat that slightly differently. We've got another piano part coming in, we've got the acoustic continuing, and we've got the first of these big bass drum and tom sounds. The first thing you'll notice is that chorus echo that sort of leads off into the distance to give it pause, because on the first chorus he only sings it once and then it sort of pedals for a moment and goes back to the verse, so how do we fill up that space and be even more ethereal and sort of let it hang, like, we just went somewhere, and now we're going to bring it down to the verse. So that's the reasoning behind that sound, and I did that probably with an EchoBoy because I'm lazy. Yes, so another EchoBoy, Digital Delay modeling kind of thing, a little Saturation, top end cut down, and quite a bit of Feedback. that 'hang in the air' feel, just like, "Okay, we're about to do something else", and then the next verse will drop. So this is sort of one of my go-to tricks, sort of set something up to create a little bit of anticipation for that next bit. All the other plug-ins are the same, doing about the same thing. I think the settings are almost identical. Well, maybe a little more top end. Here's the verse EQ curve, and here's the chorus. The chorus just got a little brighter. It's another one of my tricks to make the chorus a little more exciting, is you make whatever is the predominant instrument or vocal just a hair brighter, and it will be like, "Ooh!" Brighter is always more exciting, you know? That's just a given, just like louder is more exciting, so, you can make it a little louder, a little brighter, maybe a little more echo, a little more something, and it'll give you that kind of next stage in the takeoff, if you will, like the rocket has multiple stages to get it into orbit, you're taking the second stage now. Oh, this has a little something extra on here. Because he's pushing hard, he's got a little pinch in his throat in that upper register, so I've pulled out some business up here at 6.5 and 15 kHz. There was just some resonance happening that I wasn't happy about. So let's hear that real quick with and without. So those two notches really helped tame that kind of shrill part of his voice in this section. The de-esser is the same, probably not doing anything. A little 's' in there. But other than that, pretty much the same as the verse vocal. See this level. Yeah, maybe a little more reverb. We can feel maybe that. Oh! We got the plate happening now, so it's a little more expansive perhaps. Let's hear again that transition from the second pre-chorus into that chorus. Pay attention to where the vocal is going, what's happening to that. The reverb is hanging out, the delay is hanging out, it's just taking a pause before we plunge back into the next verse. The other things that are happening here, we got another piano, so this is like a mono crushed piano, just playing some bass bombs, that kind of Beatle-y trick. They did a lot of really simple left-hand octaves in the bass part of the piano. Let's add this back in. Two piano parts happening there, that sort of triplet feel giving it a little momentum, and this big boom, big bass thing, so let's hear those individually and see what we have. That's going to become an instrumental theme throughout the chorus, that's sort of the rhythm of things. And I've gone wider in the chorus than I was in the verse. The chorus gets brighter, the vocal gets wetter, the piano gets wider, busier, and then we have this other piano joining us here as well. probably too much, on nearly everything I produce, certainly. I use some kind of low end piano thing to add weight to a track. Even if you just have a keyboard or a crappy sample, you can distort it, you can crush it, and do something really interesting. The point is not to hear it necessarily, but to feel it. So let's put these two pianos together in solo and see how they interact. It's not only providing a lower end extension of the piano part, but it's providing like a center imaging kind of thing, so, it's kind of a cool trick. I usually use an SM57 or, you know, any kind of crappy mic, I just stuff it right in the sound hole of the piano and then I just smash it with whatever I have. Probably an 1176, that's my favorite compressor for that sort of purpose. Push all the buttons in and smash it up. The next element that comes in in the chorus is these tuned bass drums that help, again, add weight to that downbeat of the chorus. And then these toms also come in. The use of percussion with The Lumineers is very nontraditional. we wanted it to be heavier than their first record, so we did a lot more, like, thunderous percussion on this record, so, these toms made a lot of appearances, and these tuned bass drum kind of things were used on a few songs. Let's hear the same thing, like halfway through that pre-chorus going into the chorus and feel what these are doing. Pedaling at the end of the chorus is even more prescient because now we have this big explosion at the top, and it's like it comes from this fffdown to an mfreally quickly, explosion down to this little quiet thing, which leads us back into the verse, and some other new elements will come in. Let's step back for a second, we can play these toms real quick. I think it was Simone, the producer, and Jere, the drummer, playing drums in the room together at the same time, so I think, yeah, we got an individual mic on each of their sets of toms. I think each of them hit two toms, and then a room mic out there. And these are just sort of, you know, just a little corrective EQ and a gate to make them a little punchier-sounding. And then they go through a bus with another little corrective EQ and some smashy compression. Let's hear it without this stuff on this bus here, and without the EQ or the effects. It's not terribly exciting by themselves, but we knew we were going to blow them up. We can put all this stuff back on. A little tougher-sounding still, and then we'll throw them into that space that we love. Major weight behind what's happening here. And then, on top of that we have these tuned bass drums, which I'm just rolling off the top end of, and then distorting them with this Devil-Loc. Let me play them for you without anything on them. A little clipping on the input when I recorded them, but, you know, it's okay. And I could put these guys back on. So this Devil-Loc is doing quite a bit! Let me just back up again and take that Chamber off, and just see what the saturation has done to this sound. This thing is another one of my favorite little toys. And then we can put that Chamber back on. Just to make it even more thunderous. So that's that Chamber number five again that I love so much. And one more time, now that we've broken down these sounds, let's hear the pre-chorus into the chorus. We've taken these sort of punchy percussive sounds and then lengthened them with distortion and reverb to make it fill up that whole space in this short chorus. They get a lot more use later on in the program. We've come to the third verse now, we had a double verse at the front. We got the third verse coming up. It's all the same characters, but now we've added some low end, we got the bass guitar coming in. We've got a shaker to add a little rhythmic step up in the song, and then we got a four-on-the-floor kick drum. The whole motor behind the band is changing in this third verse, and the pace really picks up after that little pause in the chorus. I think we got the bass drum happening, we got the toms, here's the shaker, and actually let's keep the shaker muted and we'll feel what that adds. But let's open up the bass and we'll see what it's like now adding some low end to the record. So can feel the step that the song took there, you know, really simple bass part, a couple little fills to make some interesting things happen, but nothing super-complicated. Really just legato, simple playing, but it adds this beef, this dynamic that it just feels like, "Ooh! This is going somewhere again! ", right? The way I record bass typically on my sessions is I like it to have a really fat, nice direct sound. In this case, we had this Acme Motown DI that had just come out. And then I like to ideally have two amps: one will be on the cleaner side, no fuzz, just note and tone, and then I like to have a dirtier bass that's got a little hair on it so it adds these upper harmonics that will penetrate small speakers. When I listen on earbuds, or NS-10s, or, like, tiny little speakers across the room, you'll still hear that bass. You may not hear the lower octave of it, but you might hear some of the upper distortion, the upper octave distortion that's happening. Let's solo up this bass and I'll show you what's happening. So that's all the sounds put together. Let's break it down a little bit further. I'll take the compressor and the EQ off, and let's hear one sound at a time, and we can talk about how those come about. So here's just the DI. It's just clean, it's the tone of that Fender P bass and his fingers, nothing else. I think we had two Ampeg amps. Actually, we had three Ampeg amps, so we sort of rotated through them, so I'm not exactly sure of this combination. Let's have a listen and maybe I can tell by listening to it. And then, here's the second amp. Just a little hairier on that one. And what I'm looking for is, like, from the DI you get that sort of pure tone right off the axe. With one of the amps I want a nice, round, fat sound, and the other one, I just sort of crank it up, crank up the gain a little bit, or maybe even put a pedal in front of it to get something really nasty. On a song like this, it's pretty, so I'm not really going for that sort of, like, major fuzz tone, but on a rock thing I might make it, like, unrecognizable so it's super-nasty, and then just blend a little bit of it in to get that grit and the upper harmonics happening. So in this case, it's not a huge difference between the three things. The important thing when you're recording two amps like this, and a DI, is to make sure that the phase alignment between the three of them, the time alignment and the phase alignment are all correct. So, what I like to do when you set those mics up against the amp, they have to be the same distance from the speaker in both cases, so I will put a click through both of the amps at the same time, record it, and look at the time difference between them on the screen, and then sort of adjust them until it's right. The other thing you can do, and I do this on guitar amps when I use two different mics is I put a little bit of pink noise through the amps and I listen on headphones. I flip one out of phase through the preamp, and then move them until they are canceled, and that works really well. It's how I do guitars, and it's the only way to make that stuff happen. Fortunately, in here, I'm not summing them into Pro Tools, so I can adjust things after the fact. Not a big deal, but I do like to get it as perfect as I can on the way in. You can see I put this Time Adjuster plug-in on the DI and set him back just a little bit, 216 samples or whatever that amounts to in milliseconds, but it's not a whole lot. And when you think about it, if you're taking the electric signal right off the bass, and then you're sending it to an amp out through air into a microphone, the gap between the end of the amplifier electrical signal and the air that is pushing through to get to that mic, that's going to be the delay. It's minuscule, because it's, like, a foot at the most, but it still adds up, and sometimes that can be made better with delay in the DI. To get the bass to be nice and long and full I've compressed it a little bit with an LA-2A plug-in. There is a bunch of different models of this. We can hear it with and without the compressor. It evens it out a little bit, levels it like it's supposed to, makes it a little longer-sounding, and then I think I just did a little bit of corrective EQ here again. Yeah, that pesky 450 Hz. I'm probably right. Yeah, 400. So let's hear it with everybody in again. It's cruising along a little bit now, right? We're getting steam through the song. The other thing we put in is this cool shaker. So it's not really a shaker. So, being creative, nontraditional percussion again, so, we spent a long time getting that sound to work and then to figure out how to make this groove with the song. It adds just another element of locomotion to that verse. Check it out again coming from this little break in the chorus, and how that little tiny shaker just right in the middle of the track helps things pick up the pace a little bit. It's a little tiny sound, but it's adding quite a bit of information, especially up top. And you'll notice I did a bunch of rides on it to sort of make it poke out between the vocal phrases. It just sort of helps, like, "Hey, I'm here. That's another one of the fun things I like to do, is get my hands on all the faders and sort of help things move around and help clarify who's important at what moment and, you know, push whatever is important to the fore, make it a little bit more obvious when it needs to be. The last things added to this third verse after our short chorus are a couple of really rad violin parts. So there's one that's providing a little rhythm that I've looped in the song, and then there's a little counter-melody. That's happening, so let's check these out with everybody happening. We've got these two rad little parts. I've put them both through a little bus and I'm sending them off to a plate. I'm trying to consider them as one thing even though they're not really, but they're both in the right speaker. That little counter-melody thing has a Space Echo that I recorded as the tracks went down. I actually took a contact mic and put it through a Space Echo just to give it some kind of, like, weirdness. just some funkiness and weirdness. Let me show you this one part again. That little counter-melody is really fun. And then the loop's little rhythmic part. So nothing fancy, but again, it just sort of amps up the energy in this third verse, so let's play the chorus into the third verse one more time. And then yet another element comes in in the middle of this pre-chorus. And again, these were very thought-out as to where things were going to come in. So we get into this pre-chorus and then we have a cello coming in, and that's another sort of identifiable sound for The Lumineers with Neyla, the cello player. A subtle kind of thing, just another legato part delineating the chords, but still adds a little weight. And it comes in in an odd place, but it feels right and that's why we sort of left it like that. So nothing fancy on the cello, you know, just a little bit of low end added to make it a little thicker-sounding. A lower mids kind of thing, 700 Hz is a nice frequency for cello, it seems, and a little compression, and then another little bit of brightness and corrective EQ. Let's just solo this up real quick and we'll take everything off of it just to explore the space. Pretty cello in a room, it's a nice sound. Let's just add this EQ a little bit. We have used this sort of gentle Pultec kind of thing. I'm actually doing a lot of boosting. I don't remember my thought process behind this necessarily, but, adding a little bit of low end at 100 Hz, a little 700 Hz, a little 1.5 kHz. You know, sort of all the food groups of the lower end of the cello just to make it sit nicely in the mix. A little compression to even things out some more. And some more corrective EQ just to sort of lop off that low, low stuff and make it a little more present. And then let's hear that come in with the band. If I had to do it over again, I'd probably make the cello a bit louder there, but that was sort of the committee decision, where to put it. But it comes in on sort of an emotional line, 'Angela it's a long time coming', so it's like, you know, what? And then it leads us into the chorus here in the next part. Let's play it from where we are into this next chorus, and we'll hear it with the instruments that we have going so far, and then we'll see what else is supposed to happen here. This chorus already sounds a bit more rocking than that first chorus, and that's intentional. The first chorus is like, it's a bit of a pause, a bit of a tease into the refrain of the song, and now we've got a full-on chorus and there's more people happening, more instruments playing, we've added the bass from that last verse, we've got that little percussion thing to give it a little handshake kind of business, we got the toms, we got the bass drums, the same pianos as the first time, the same sort of vibe. You can see that it's louder. Wes is wailing on the vocals, we've got these little cello things happening. So here's this cello addition. Very orchestral and simple and effective, so check it out with the track now that you've heard it in solo. It's really subtle, but it adds a little thing, a little more, you know, ensemble kind of vibe. Let's see, we have a violin thing going on here too, which I don't remember what it's doing. If this was a rock band that would probably be an electric guitar part, but since it's not, it's sort of a folk pop band, we've got a fiddle doing it, which is kind of cool and unexpected. Still with that Space Echo on it, which I really liked. So check it out in the track now that you've heard it by itself. A subtle locomotion kind of effect. It pushes things along a little bit more. You can see again in my automation that it is sort of being ridden up in those spaces between the vocals. Let's listen one more time. It plays a small role in the chorus, but it's a pretty fun little part. The next major sort of thing to come in for this chorus, I think, is these little background parts. Let's solo those up, and then we'll listen to it with the full band. Another simple part, a bizarre, ethereal kind of thing. We spent a few hours getting that sort of envelope right. The way Byron sang it is right there, and we had to cut it off to make it a little more uniform, sort of not call attention to itself. He sang that envelope and we had to double-track it and get it just right, so check it out with the full band. It's sort of a harmony to Wes's lead vocal but in a really bizarre way, and that's, again, another one of the themes for this record, is doing things in a nontraditional way and that was a really fun part to make. We've got a full rocking chorus with all sorts of new things in it. Now we go into this bridge that sort of drops down ever so slightly, and then builds back up to the final sort of crescendo. So let's play it from halfway through this chorus and see what happens in the bridge, and then add the next new bits. Immediately you can tell the bass drops out, the bottom end of the record drops out to give us a little bit of, like, an 'off the cliff' moment. The piano drops down to be much quieter, the vocals, everything drops down just a little bit to give us room to come back up. So again, a performance and arrangement commitment to making that happen rather than having to do some kind of post-production effects and massive volume rides to achieve that effect. It also speeds up here, we got a little bit of a ramp-up on the click track here. Another sort of effective thing. The bass goes away, and what comes in? We have these handclaps that come in in the bridge here, and that's pretty cool. It adds another sort of ramping effect. So again, from the same place. It really starts to kick off there, you can feel this energy building and the release is when it drops into that chorus, but I won't let you get there yet. Claps, another sort of element that The Lumineers like to use quite a bit, but in a different way this time than the 'Hey Ho' kind of vibe. what Jere calls his piano bee, it's like a bee in the bonnet, it's something that's flying around doing something that's not the focus, but it also does this thing where it's just flying around being its own little bad self somewhere in the corner. He sort of coined that term and I enjoy that quite a bit. I'll solo this so you can hear what's happening, and then you'll notice it when we play the whole track. So now that you've heard this thing by itself, maybe you'll notice it in the track and sort of feel what it's doing over there. We did this same sort of idea in a few other songs on the record. Completely different sound, completely different context, but that same sort of, like, just some person over there playing the piano in a nontraditional sense. It's just sort of helping in that crescendo, just a little more bizarre energy over on the left speaker there. I love hard-panning stuff like that. It's really fun. I just tracked that as a normal sound, and then we added this little Echoplex plug-in. I recorded this in a sort of normal sense, I probably compressed it and EQ'ed the piss out of it just to make something interesting, and then in the mix I added a little bit of Echoplex to give it some more flavor. I made it a little brighter. It's sort of what I do to everything, I think. Cut off the bottom end to let it not fight with the other piano tracks. You know, an effort to make something, again, nontraditional. That guy over there playing with a weird sound and a rhythm that's counter to everything else that's happening, but also helps to build this energy that's now going to carry us into this last chorus. Now that you know what it's doing by itself, let's hear it with the track and check that out. So we got this really beautiful crescendo here, everybody is contributing to it: instruments, vocals, all this stuff. Let's take a look at my automation here and see if there's anything severe happening in that department. A little bit of buildup in the bass. they crescendo naturally, the way everyone clapped on that one. Nothing terribly assisted from me. You'll see there's a lot of automation that sort of helps me feel like I'm doing something to be perfectly honest, but it does add this little bit of bounce and lilt to things that maybe the compression took away a little bit in the interest of smoothing things out, and then I sort of unsmooth things, if you will, in a manual way. The last chorus clearly is louder than everything else and that's the idea, so you want to build this, again, this emotional ride through the song. So dropping into this very loud chorus, everybody is now full-tilt, rocking out, I mean, as much as you can in this sort of song. The piano is going full-on, the bass is getting a little more aggressive, the acoustic is louder, everybody is louder. If we step back and look at my automation, I mean, yes, everything is made louder decibel-wise. The last chorus is significantly louder, but it's not only what I'm doing, it's what the band did when we recorded it. We had this arrangement in mind, it was intentional that everything is a little louder in the end. Now that we've heard this bridge and this buildup into this loud last chorus, let's hear it again and we'll go through the end of the song to see how this sort of emotional ride ends, and then we'll step back and add in the rest of the elements that happen in this last chorus. They're not a whole lot, but they are important. you don't want the floor to completely fall away. I mean, to a certain degree you want it, of course, because that's what's happening, but, if you're listening in the car on the highway and there's all this noise happening, you don't want the song to just suddenly disappear, and then you're like, "Why is there 15 seconds before the next song starts? ", so, you sort of have to balance that energy drop with a volume consistency to keep things interesting and the energy going to get to the end of the song. We've heard this last chorus. Same stuff as the previous chorus. And then we've got a couple more interesting things happening that up the ante even more for this ending thing. Another bass drum coming in, I think, that adds another sort of element to things. Let's see what this guy is doing on his own. We add that to what the drums are already doing. Pretty powerful! There's a lot of stuff going on there, there's energy in the top end, there's energy in the bottom end, locomotion going on with the shaker and all the little bits like that. And then there's one more part that comes in. This is actually probably my favorite sound on the whole record. We were trying to figure out what was going to hold the backbeat down in this last chorus. To back up for one second, this song is slightly different than many others on the record in that we sort of built a lot of this track in the percussion department. We had this acoustic guitar, and the vocal, and the piano, and they were like, "All right. What is really the arrangement going to be behind that? ", and so, a lot of these drums were sort of put together from things that we played for this song, but the arrangement kept changing, and it was like, "All right, let's just do it like this". And we had a thought of, "All right, what's this backbeat going to be?" and we had a photographer in the session shooting photos of the band, and he was in the vocal booth at one point and I heard this shutter click in the background and I was like, "That's kind of a cool sound. Can you step up to the mic and let me record that? ", so I got a bunch of samples with different shutter speeds, so, sometimes it was a flam, like on and off with the shutter, and other times he would open it and then close it manually, so I had the open and the close sound. So I sorted through all these samples, found the ones that I liked, and I made a little backbeat out of the camera shutter, so this is what it sounds like by itself, and then I sort of freakafied it a little bit. I'll turn all these effects and plug-ins off. It's like a finger snap, but a snare drum at the same time, and then, you know, sort of messed things up a little bit with FilterFreak, cut off the top end and made it a little meatier, did some Input saturation here, and whatever I did with this EQ. Yes, so again, just sort of emphasizing the upper mids, cutting off the extreme top and bottom, and then the Neve gives it a little more presence. So, here's with the EQ. Kind of a fun sound. And then, what did we put on it? We put some Room to get it in the vibe with the rest of the track, and then I added these echoes. Sort of a slap, and then I added this other thing, another stutter echo. Again, adding to the locomotion and the sort of chaos of things in this last chorus. Again, just EchoBoy's things with a Repeat, a specific number of Repeats on each time. No Feedback, as you can tell it exactly how many echoes you want at what interval you'd want them. A really cool mode on that echo. And then the other one is a Waves H-Delay, just a short delay with a little bit of Feedback, just, again, to make it something interesting. More interesting than the shutter is going to be on its own. Really fun jam going on at the end, all these little elements that keep building and building and building throughout the song. And again, really thought-out, planned meticulously, decided, if you will, as to what's going to happen when, so that's sort of the result of the whole pile of things that we came up with for this song. The other thing that's happening in this last chorus, again, takes it to that next level, is this other cello part comes in. Let's see what this guy is doing, or gal, as the case is. Like another orchestral type thing, like a bit of a march happening from that cello, and the fiddle is contributing this as well. another bee in your bonnet way up top there is going to make something else interesting and pull your ear toward it, add to the energy of the track to get things going even more. Let's hear it from the bridge into this chorus now that you've heard all of these disparate elements that join us in this last chorus. You know, you can feel all those little elements doing just their little tiny contributions, but it adds up to a big last chorus. Two more things in the vocal department: those little background vocals, those high harmonies that Byron is singing, whereas in the first time they come in in the second chorus they sort of swell in, we sort of wanted to undo that a little bit, and as it turns out, in this last chorus I rode them up at the beginning and pulled them down to sort of counteract that swell a little bit to make them a little bit more audible. With that in mind, just listen to what he's doing back there and check this out. You know, he's more recognizable at the beginning of his crescendo rather than the way it was before because there's a lot more stuff happening. We need to counteract that a little bit and make him a little more present, volume-wise, at the beginning of that part. And one final thing we added was another vocal part from Wes. We'll solo all the vocals together. What can we do to make this interesting? Yeah, let's just solo all the vocals and all the fiddles or something. One more time through this last chorus. Just another high harmony in that right speaker to elevate things even more, and also to note, I had forgotten about this, is that a lot of the things that we've added here sort of double up in their tempo halfway through this chorus, so we have a double chorus that comes around twice. So for example, like this cello which is just playing eighth notes in the first half switches up to sixteenths in the end. If we play it from the first half to the second half you'll notice the energy picks up again and in a little, subtle way. Check it out. So now that you've seen all of these secrets, all of these little tiny things that add up to this massive last chorus, I think it will be interesting to listen from the front of the song to the back one more time, and now you'll hear all these little tiny things jumping out at you along the way, and, you know, it's interesting to listen with that technical ear for these little pieces that are flying around and helping things move from a small, vulnerable emotional state to, like, this proclamation at the end, and then back to this little tiny thing at the end for the outro. Let's back up to the beginning of the song and play it to the end with our new knowledge. As you can see on the screen here, there is a lot of automation, so we should talk about that for just a minute. In a nontraditional sort of song like this, as we've discussed throughout this program, it started with the acoustic guitar and the vocal, and so, adding these things, adding all these elements to the new sections as the song builds, there's just a number of ways of thinking about this stuff. There's a lot of people who will just get a static balance, and then that's their mix. I did that when I first started out, and I was always just like, "Well, what's the next thing? What do I do to make this sound like a record? This sounds like a balance to me, this sounds like a rough mix". And you hear of Led Zeppelin records and the Stones records perhaps being, "Okay, this is the balance and you print it", but there were only four instruments, five instruments max playing on those records, so, and not to disparage the people who made them or the bands, because certainly, those are some of the greatest-sounding things in the history of recording. At that time, that's how records were made, now, because of the technology we have, you know, working on a console with automation, working in Pro Tools or any kind of DAW with infinite automation of every parameter you could possibly imagine, what do you use that for? To what end are you working with all of these knobs and faders and possibilities? To me, we are using all this stuff to sculpt, again, going back to that emotional journey through the song. I mean, there are pop songs that come on and stay on, and go like that to the end, and that to me is boring. I don't like making records like that, you'll never hear a mix that I do do that. My stuff comes on and it goes somewhere, like, it is very intentional as to where it starts and where it ends up, and I figured out over the course of the years how to sort of contain that a certain amount and make it get there without being 30 dB louder at the end of the song than at the beginning. Sometimes it's unavoidable if you start with a mouse and it becomes an elephant at the end. within a certain boundary, so to speak, because again, you don't want it to be on the floor and then on the ceiling. You want it to sort of be somewhere in the middle, but also, you know, get to be loud and get to be quiet, but not completely go away. keeping the dynamics happening, keeping the emotional roller coaster going. To that end, we have the stereo bus processing over here. So as I was saying during the template video, I use the summing bus over here. I get my stems coming out into the bus, and then, at the end of it we have all this stuff. The drums are going through the API 2500, and then the Manley Massive Passive equalizer. And the stereo bus is going through the Smart C2, the Curve Bender, and the NTI. Now, because it's a fairly tamed song as things go, the bus compressor is not doing a lot. I think in the last chorus it may be hitting 2 dB of compression, but of course, in the beginning it's hitting none. The bounce of that compressor is also helping, you know, imply energy into the song. That's sort of how I feel about what it's doing. My attack is 10 milliseconds and the release is 100 milliseconds, so, the second slowest attack, and the fastest release just to get out of the way. The ratio is at 4:1, the threshold is at, I don't know, -14 or something like that, no makeup gain. This is my go-to setting. Believe it or not, I use it on almost everything I mix. If I'm going to have a bus compressor, it's most likely the C2. I think it sounds really wonderful, the top end stays open unlike a lot of other compressors that sort of darken things up a little bit when they get to squeezing. This one stays very transparent. I keep it in Stereo Link mode for the most part, sometimes I take it off. There's not really a lot of rhyme or reason to that other than convenience, honestly. And because I'm mixing here all the time at mostly the same volume, I wind up almost always at the same threshold. That moves maybe plus or minus one click. If it's swinging wildly, there's something else wrong in the chain. The Curve Bender, because of its germanium transistors, adds this thickness to the mix without slowing things down, the slew rate is pretty quick still. I usually go with a dB at 50 Hz on a bell curve, and then the top end I usually go with 12 or 16 kHz, and really only a click or two, 0.5 dB or maybe 1 dB at the most. And then, on this particular song I've got a click of 1.8 kHz just to sort of help make that midrange poke out a little bit. For some reason I like that on this song. But yeah, really great-sounding EQ, the bottom end sounds unbelievable. And then the NTI, I think, just has a click of 2.5 kHz shelf and a couple clicks of Air. The recording, overall, felt a little dark when I got home to the room that I know so well, and so I wound up putting a bit of zing on top with the NTI. He really didn't do anything. I mean, the whole record is almost flat. And then he just made it, you know, loud, as they do, but he was really happy with the mixes and that was like a sort of bucket list day, was to master something in person with Bob Ludwig, and then he said he liked it, so, that validated my existence on this planet as far as I'm concerned. If you're wondering about the combination of these two EQs, they play very different roles for me. I don't think of it necessarily as an EQ. This goes on very early in my mix, and almost always in this setting, minus the midrange. I don't always use this, but early on when I'm getting my drum sounds and getting the vibe of the record together, this goes on and stays in. This guy visits when I need, like, brightness without a sound. This is just like a really transparent open top end. The shelf on this 2.5 kHz is basically, like, making everything nicer to me, and then the air makes it nicer still because it's even further up. a great thing is we have plug-ins now of both of these EQs, and they both sound really good. For the UAD version of the Curve Bender, for example, there's a bunch of presets that I made, and one of them is my bus EQ, so if you have that or if you want to demo it, try it out and you'll see what I'm talking about. You'll hear and feel what I'm talking about. This thing adds some serious weight to the bus, and I love it. I guess NTI is now called Maag, and they make a EQ4 plug-in that sounds really nice. I use that a lot. Actually, I've got it on some inserts on this session, I think, but if I were to mix In The Box, I would do exactly the same thing: SSL bus compressor. I mean, it's similar to the Smart. All those tools are available if you're In The Box. And when I do stuff completely In The Box, I go to the same things because it's familiar and comfortable-sounding. So for the sake of comparison, let's hear this last chorus without any stereo bus processing. It will all be gain-matched so you'll get an idea of what's actually happening, and then we'll start it again and I'll put things in one at a time and I'll show you what's happening. So now we'll put just the bus compressor in. And then we'll add the Curve Bender. Pay attention particularly to the bottom end and the super top end. So you really feel what that's doing in there, it's like serious weight on that stereo bus. And now, I'll play along and then I'm going to pop in this NTI EQ. So let's just get acclimated to what it's doing first, then I'll pop it in and you'll hear what this guy is doing. I mean, obviously, it's making it a lot brighter, but you can hear what it's doing to the groove, it's bringing out those elements of, like, locomotion that I call, like the shaker and those echoes and stuff like that. So, you know, there's a number of aspects that that EQ helps. And again, I get those guys on as early in the mix as I can, and then it makes life easier for everything else that you've got to do. You're not fighting with, you know, having to make everything bright individually. that's how I think about my stereo bus processing in that aspect. So I think the only other piece of hardware that I'm really using on this mix besides the summing bus and the stereo bus processing is the drum bus. So it's sort of backing up a moment, but, let me play you the drums in this last chorus, because it is the most involved, and I'll bypass the compressor and the EQ, and then put it back in again. Here's the drums with no hardware processing. The compressor is not doing a whole lot to the drums. They copied this on the plug-in. If you get the API 2500 UAD plug-in, you'll get the blend control on it, but I don't think there's any other hardware that has this on it, and I'm really happy about that. So, I run it pretty much generically at 50/50, Wet/Dry, so it's just sort of a final stage with my drums, I have just a little more control over those guys. We'll leave that in, and then we'll come over to the Massive Passive. And over here, this thing, again, is just another weight kind of addition. it's the nicerizer box, it's making everything really nice and fat and thick and full and bright and exciting. So, I'll play this for you four bars without it and then we'll pop it in. You can hear again that it's adding, like, some major weight, some excitement and whatnot to the entire drum kit. Now, sometimes, depending on what the song is doing I'll add the bass into that bus so that the whole bottom of the record is dancing by itself. It's hitting the compressor probably a little bit harder on a rock record, and then it just sort of becomes this subset of, like, solidity in the bottom end, and that's a really fun sound. I like that a lot. Now that we've come to the end of the mix, we've played it back, everything is happy, we got the bus compression on, the EQs, and all that sort of stuff, the client is happy with the mix, I wind up printing back into my Pro Tools session through my Burl A-D converter, and we have a track right here. If you watched my template session, you saw that I have a tape track also, but this record I did before I got my tape machine. There's no tape on this album, it's all just straight-up analog stuff into a nice A-D converter which sounds wonderful. I wound up printing this to a track as you can see. I playlist all the different versions. You know, we go through different iterations of changes and then trying different versions like vocals up, vocals down, etc., and then we arrived at the final mix, which is 'Mix 6'. you know, a little louder vocal, even for one word, we can cut in that mix with the vocals up, or the vocals down, for that matter. And if there's anything I think might be an issue, if I'm unsure about something or if there's anyone in the band who has a question about, like, "Oh, is the bass loud enough?" and everyone says yes, but that one person might not be sure, I'll print a 'bass up', or, you know, a 'kick up', or whatever might be in doubt in the room at that time. So these are the sort of typical ones that I print: the main mix, which is 'Mix 6', vocals up, vocals down, in this case we did a 'BASS UP'. I always do an instrumental. I do a lead vocal a cappella and a BV a cappella in case there's like a bad word that needs to be bleeped out or whatever, or something else fixed. And actually, what's not on this list and I always have to do for major label stuff is do a TV mix. basically they have to sing to a track, it's possible, or if they license the song and it goes in a commercial and they want to put a mix without the lead vocal but just with the hook melodies or whatever, we can accommodate those with the different mixes, and then you're able to edit it, chop it up, loop things, whatever, without having to recall the mix and edit the whole damn thing and start all over again, so, I can deliver all those different mixes to people and they can sort of do with them what they like. Now, after I print the mix, so we have 'Mix 6' here, and then we have this track below it. You can see it's much louder and I denote that with an exclamation point to say, "This is Mix 6, and louder", and that's what I send out to clients to listen to at home, to listen to in the car or whatever, so it's, you know, my little faux mastering thing that I just take my mix and put a limiter on it to make it a bit louder and "competitive" with something you might hear on a mastered record. To make this loud mix I use FabFilter Pro-L. I think it's a fine-sounding limiter. A few mastering friends of mine use this as well. This is sort of my generic setting, and the amount of volume I'll put on it will vary from song to song and album to album. The guys in the band here liked listening to things loud outside, they wanted it to be competitive with their last album which was mastered by Bob Ludwig also. To create those files that I can export as MP3s and 16-bit WAV files, I copy the track down and then I use these settings as an AudioSuite function to make this loud mix. the audience would hear it, as their fans would hear it, as an MP3 through earbuds in their iPhone, unfortunately. And then, for the guys who are way into it, who are into hi-fi stuff, they might ask for the 16 bit/44.1 kHz WAV files, and I put those up on a server and they can download those at their leisure. The thing about this little faux mastering thing, it's very contentious, a lot of people get, you know, overzealous with it and get things too loud and then it just doesn't sound very good. The thing is to make sure you're A/B'ing your loud mix to your regular mix and make sure you're not losing anything, that you're not ruining your mix. Check that out, make sure it's still cool-sounding, you're not losing your dynamics you worked so hard to put in there, you're not losing your transients that you worked so hard to make, and you're not losing the emotion of that track. It's possible to get it loud without losing too much of those things, but you really have to remain aware of that, and listening, of course, is the only way to understand what's happening to that, so really keep an ear out for that. Make sure you're not ruining your mix by doing this, particularly when you're doing demos. A lot of people make their demos screaming loud so they'll get to cut here in Nashville or people will love what they're doing, and that's just a really dangerous slippery slope to fall down because then everybody else after that demo has to make it just as loud. It's not an ethical thing to do, it's not a constructive thing to do. It makes everyone's life more difficult, and as you can tell from the things we talked about in this video and in my template video, I'm all about making life easy, so, make my life easy. Don't make your demos and your rough mixes outrageously loud so that the next guy mixing the song has to make it even louder. It just takes away from the whole experience, makes things difficult, so keep an ear out for these things, make sure you don't ruin your own mix. So, it was really interesting coming back to this mix of 'Angela' almost exactly one year from when I did it, and a year is a long time in a career, and you learn so many new things, so many new processes, ways of thinking that reflecting back on this mix I found it was surprising. You know, this mix in particular, this record with The Lumineers was really a collaborative project. I tracked the record with them in Upstate New York, we spent six weeks doing that, and then all the boys came down here with the producer, Simone Felice, and we hung out during the mix, and everybody was here listening in the control room. We had three different sets of speakers here: we had their boombox at their Airbnb place, we had the car they were in, so we had all these different places to listen to and those sort of scenarios fed into like a major consensus. Everything was a sort of consensus thing and everyone was really on the same page on this record and was pushing to the same place. There were very few arguments or disagreements on things, it was like, "Hey, what do you think about this? ", "Man, I was thinking the same thing!" and, you know, we'd move the ball forward as a team. And it's rare these days to have the artist in the studio with you when you're mixing. I mean, I don't allow anyone here while I'm actually mixing, but it's like, "All right, I got something to play for you", and everybody comes in, someone different will sit in the chair, we can sit back there, everyone gets used to how things sound in here. And, you know, we sort of pick things apart, like, "Well, you know, this little thing here", and we have these little ideas that everyone brings to the table, and it coalesces this mix into something that everybody involved was really happy with. And, you know, I hear little things here and there that I would change, and maybe this could be louder or that could be quieter, but then I think, like, it's the vision of the band, you know? And it's like, yeah, the cello could have been louder, but then it would've been like, "Hey! There's a cello over here!" and the cello sort of needed to just, you know, get in there slowly and gently, and just sort of make a minor statement and not like, you know, this massive orchestral thing. And, you know, the thrust of that, as I said at the beginning of the video, was making this vocal that's just God-like and bigger than life and all that, and I think that we achieved that pretty well. The album has done really well, people have commented a lot on how nice the vocal sounds in particular. I got a lot of emails about the vocal sound, so, now you know what I've done. Nothing fancy, nothing crazy, nothing unobtainable, so, I hope that by dissecting this mix, which I've never done before, this was a really exciting process for me, I hope that by dissecting this on a video you guys can find some inspiration to try some new stunts with your mixes and some new processes and sort of open your mind's eye towards some new ideas and new concepts, and, you know, get out of the technical a little bit and get into the emotional, get into the music, and, you know, by having that template we talked about, it makes it much quicker to get to that creative place than to have to set up a mix from scratch every bloody time. So, you know, once you find the way that you like to work, make an express train to get there. if you can't tell, I get really excited about this stuff, and I hope you guys do too, so, it was a pleasure taking this thing apart and I'll see you later. The Lumineers are songwriters Wesley Schultz (vocals, guitar) and Jeremiah Fraites (drums, piano). They are joined by cellist and backing vocalist Neyla Pekarek, who became a part of the group in 2010. Their irresistible anthem “Ho Hey” took the world by storm in 2012, followed by a second #1 single “Stubborn Love” and their third charting single “Submarines”, all carrying them on a journey from the Grammys to the presidential iPod, from the top of the charts to the Hunger Games. It took me a little while to fully understand Ryan’s template. However, once I did I could see how all the peices were working together in making an impressively powerful workflow for building a professional mix. My next thought was “Wow! this is a profound gift, provided by an exceptionally talented and generous soul!” Very rare to find in this world... Thank you Ryan Hewitt! This is an amazing video. It's like a masterclass in time based processing. Ryan is great at explaining his approach and the carefully thought-out touches that make this mix great. Thank you for sharing. 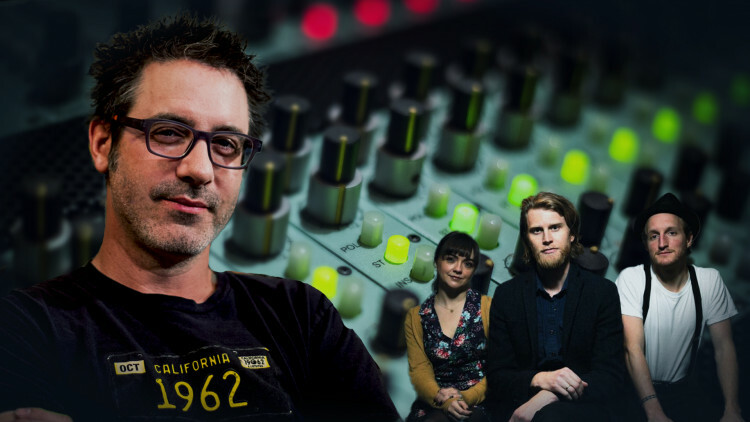 Ryan, top Lesson full in detail and expertise I enjoy this mastering lesson. Ryan, is such a great teacher, easy going, full of knowledge, great laid back, fun approach, full of detail and expertise. Thank you. Truly outstanding! Thank you for those pearls of wisdom! Good one, but what happened with the Bass part (very low volume). Is it possible to subtitle in Spanish? Thank you! Excellent! It's always a pleasure to see Ryan, so talented and at the same time he is of a natural! Thank you so much for sharing. Hi! I saw you never do reverbs on your delay, like bringing the reverb as a send on the delay track. Is there any technicals or artistic reasons? Hewitt is the man! So much knowledge, so much dedication, so much motivation! Excellent tutorial and insight to your mix and production decisions. Please keep doing these ! I am working on the design of the 4 channel mic mixer that we discussed at the Eventide booth at 2017 Summer NAMM. Tutorials like this are exactly why I never question remaining a dedicated Pure Mix subscriber. A perfect blend of production and arrangement theory with concrete mixing techniques, all in reference to an actual hit song. Would absolutely love to see more tutorial series in this vein, detailing the production and arrangement decisions in depth.